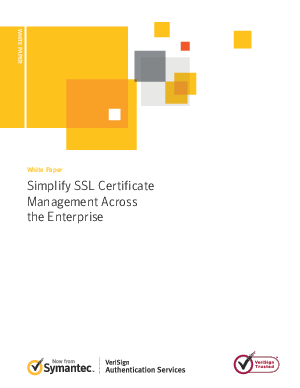 The need for SSL Certificates has moved well beyond the “buy” page to core functions of the enterprise. SSL Certificates are used to protect remote employee and partner communications via webmail, chat and IM. Browser-to-server communications for cloud-based services require SSL Certificates when used to display customer account information, business partner transactions and for employee productivity tools. Finally, SSL. Certificates are used to secure server-to-server communications for applications and data exchange.